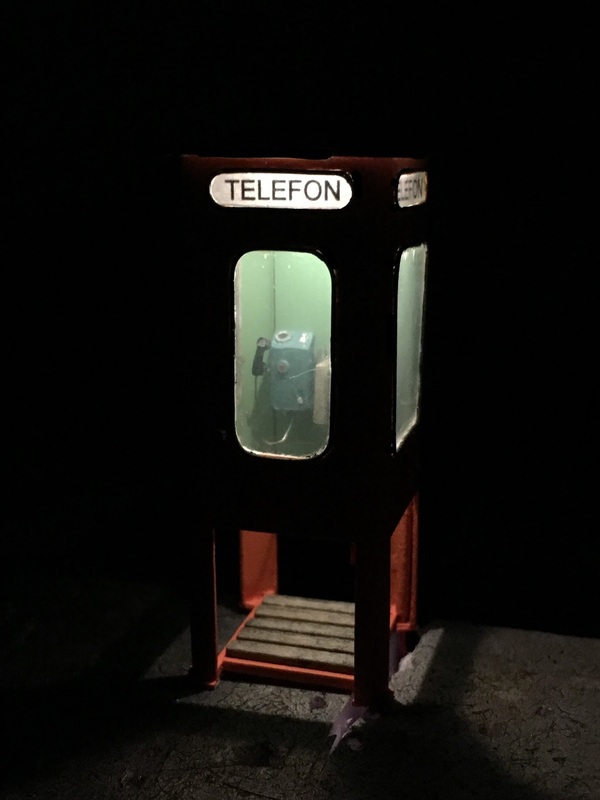 I wanted to be able to display the diorama as a night scene, and not only as a daylight scene, so I added lighting to the telephone booth. A small SMD LED is sitting in the ceiling. It is driven by two AAA batteries which I eventually intend to hide in the base of the diorama, reachable from the underside.